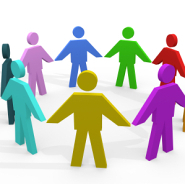 The PPG meets bi-monthly on a Monday evening between 19:00 & 20:00. Any patient wishing to contact the PPG in writing may do by addressing correspondence to the Premier Health Team PPG, c/o The Bridgewater Medical Centre, Henry Street, Leigh, WN7 2PE or by posting this in the post-box located outside the surgery. Alternatively, correspondence for the PPG may be handed in at the reception desk.